If you’re experiencing slow loading of any web page using Google Chrome on Windows 10 and you are seeing “Downloading proxy script” on the lower left of your browser page, you might have an issue with your proxy settings. By looking at them message, that is something related to proxy script or setup which you didn’t know how did that happen. 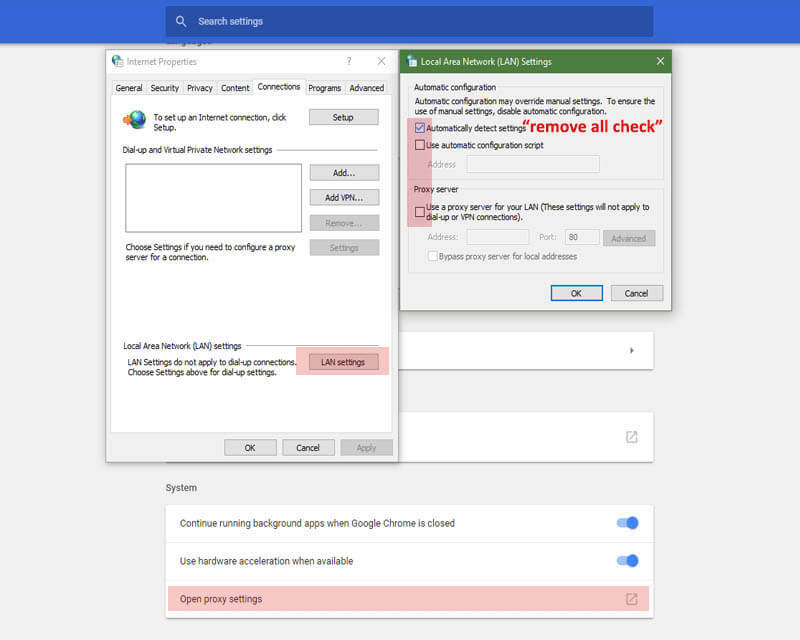 If you’re not so techie enough and you encounter this issue, you may suspect the issue is with your internet connection or you may think that your computer/laptop is infected with the virus. 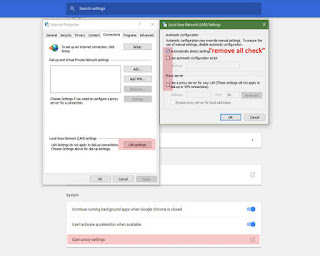 If you already scanned your PC with your anti-virus software and your ISP says there’s no problem with your internet, the issue might be on your browser settings. To solve this problem, you need to change your Windows browser settings to stop this ‘Downloading Proxy Script’ message on the progress bar. On your Google Chrome browser, open the menu bar by clicking the 3 dots on the upper right. Scroll down and click ‘Advanced’. Go down to System, click on ‘Open proxy settings’. In Local Area Network (LAN Settings), uncheck the ‘Automatically detect settings’. If you’re not using configuration script and a proxy server, uncheck also those options. Click OK to go back and apply all the changes. Open your Google Chrome browser then try to open a webpage, your browsing speed should now back to normal. This workaround applies to internet users who directly connected to their respective modem/router at home both wired and Wi-Fi connectivity. If you’re experiencing this issue within a company or corporate network, you can contact your IT administrator or webmaster for assistance.